You are currently browsing this article’s comments (below). If you would like to read the full story, then you can see the complete entry here: “Don’t Need Full Cloud? Get Any Single CC Tool for $10-20 a Month”. What’s the Difference Between Adobe CC 2019 vs. Older Versions? I am already a monthly subscriber to the $10/month Adobe Photoshop/Lightroom plan but I need Illustrator for about a month. Can I upgrade to the $20 plan that includes Illustrator for a month to take care of a job I need to get done, and then downgrade to the Photoshop/Lightroom plan again the next month? Hey Jessica, there is no standard $20 plan that includes both Photoshop + Lightroom and Illustrator – unless you are a student or teacher and can get the large education discount. If you need to add Illustrator to your existing membership for a short time, then you would just get a Single-App Subscription for Illustrator (by itself) using the Monthly (month-to-month) option. It will cost a little more, but the advantage is you can cancel at any time. So you would just cancel the Illustrator add-on when you don’t need it anymore – which can all be done easily online. PS – An alternative would be to upgrade your current plan to the Complete Creative Cloud, which includes many popular tools such as Photoshop, Lightroom, Illustrator, InDesign, Acrobat Pro, Muse, Flash Pro, Dreamweaver, Premiere Pro, After Effects, and more. In that case, you would visit your Manage Account page online and see if you can change the type of your Creative Cloud plan there (click on “Manage plan” to convert, upgrade, or downgrade your subscription). If that doesn’t work for you or you don’t see the option you need, then just contact Customer Support for further assistance. Does this mean that you will be getting the full program of photoshop, not extra upgrades with the 9.99$ subscription duo of Lightroom and photoshop? I’m looking to learn photoshop, just that I won’t really use anything else. Should I save up and buy cs6 because it’s the full package, or should I get the cc membership for 9.99$? A little confused. Hi Maria, as of the start of October 2015, Adobe finally removed the online sale of CS6 from their website… The reason is because the software is 3&half; years old and increasingly unsupported; they stopped releasing updates for it some time ago as the newer CC quickly grew and took over. With the CS6 software EOL and end of support, there are no updates, no bug fixes, and no guarantees it will run on future operating systems. So at this point we’ve stopped recommending it as a good or viable option going forward. If you just want Photoshop and Lightroom, then the CC Photography bundle (the $9.99 plan you mentioned) includes the latest-and-greatest releases of both of those tools, plus ongoing upgrades to them. Can I use illustrator on my android tablet? I no longer use a desktop. Adobe does offer several free mobile apps (for Android and iOS) that you might be able to play around with on a tablet. I’m a coder, not a designer, but I’m also an expert with Photoshop. My workflow uses Photoshop, Edge Animate and Brackets. Brackets is not part of CC. If I get the Photoshop CC package, does it come with Edge Animate? So you can either download the older Edge Animate 1.5 for free (for life), or you can get the latest Edge Animate CC release included as part of the Complete Creative Cloud. You should also know that Adobe has said that Creative Cloud subscribers can continue using Edge Animate CC even though the company has ceased further development on the application, just as CC members can still use Fireworks, Encore, Flash Builder, and other Edge tools. Are there differences between the Photoshops being offered in the photo bundle vs. what you get in the single app package? What’s the Difference Between the Photoshop vs. CC Photography Plans? Look closely at “Creative Cloud Photography Plan” vs. “Photoshop Single-App Subscription” for the details. Can I get the monthly Photoshop subscription and then cancel when not using it, and then get it again when I need it? Hello Jamie, the answer is both yes and no. Yes, there is a Photoshop-only single-tool subscription that is available either annually for a full year, or monthly where you can start and stop whenever needed and only pay for the months you use. By contrast, the Photoshop + Lightroom (CC Photography) plan is so inexpensive that it is offered on an annual (12-month) basis. Hello, I just need to use Illustrator for one month. I used the trial already so I wanted to know if I get the Single App for $19.99 a month with the One-Year commitment, can I cancel before I reach my second month and only spend $19.99? No, in that case Robert if you wanted to use the software for very short term then you would get the Month-to-Month plan instead, which you can cancel at any time and owe nothing further. can i download cs5 versions through the monthly subscription, if my graphics card is limited? No, not CS5 – it’s too old… But all Creative Cloud subscribers are entitled to download, install, and use the CS6 versions instead of (or in addition to) the latest CC releases of their tools. That includes Single-App subscribers. I need Illustrator for my work, but soon I want to learn how to use InDesign as well. So I was wondering if I want to use both programs, do I need to pay for the full package (or if 3 programs, Photoshop as well) or how much qould it be? And did I understand correctly that the Creative cloud is usable on 2 selected computers? Hey Maret, you can get Illustrator and InDesign individually with Single-Tool subscriptions, but the cost would come out only 20% less than just getting the complete CC bundle instead – and with All Apps, you’ll get many more tools included. How Many Computers Can You Install or Run Adobe Software On? Hope that answers what you wanted to know! 1. Do I have to pay extra 9.99 a month to use PS2015.5 after trial period is over ? 2. Do I need to cancel the old membership and buy the new one for $9.99? 3. If I want to go back to the old version PS 2015, how do I uninstall 2015.5 and reinstall PS 2015? 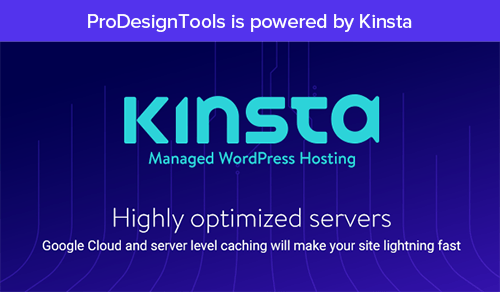 Hi KN, ongoing updates and upgrades to your tools are always included for all CC subscribers… That includes CC 2015.5, etc. You don’t need to do or pay anything more except just download and install the update, then run the new release. Sign in again if necessary. I Have a CC Membership – but My App Is Acting Like I Have a Trial? As a graphic artist I learned most Adobe Products. The whole CC for over $500 a year is outrageous. If I wish to focus on the essential standards AI and PSD I still have to pay $140 and over $300 !! for AI for a total of $450 a year. The option you offer to subscribe to the whole Suite is not a “smart choice”, but an invitation to get stuck in overpriced products for usury. Even Final Cut Pro has offered for $300 the program now. We expect you to be reasonable and not study on how to be greedy and get the most out of people who depend on your programs for so many years. Either way, you don’t have a reasonable Design offer for the basic freelance graphic designer. $10 a month for the latest full desktop versions of both Photoshop CC + Lightroom CC (plus all related mobile apps and workflows) is too much? These two professional tools used to cost well over $1,000 upfront just to get in the door, not including upgrades. If you need another product like Illustrator, then that’s $20/month. Either way, it’s significantly less than the numbers you posted. The full CC suite – every application available, basically the latest complete Master Collection with upgrades included – is $50/month. This used to cost $2,600 in advance, without upgrades. Overall, by virtually any measure, Creative Cloud has been a remarkable success – even exceeding Adobe’s own expectations. Never before has the company had 15 million customers all using the exact same release of their creative products – not even with any version of Creative Suite (ever). And all CC customers receive ongoing upgrades moving forward, so this version unity will continue – and is extremely powerful. There have now been three major releases of CC since CS6 (in 2012), and all were sold side-by-side against CS6 on Adobe’s website. Customers over­whelmingly (by large margins) chose CC over CS6. Regarding new features and tool improvements, there have been thousands. We use CC 2015 every day here and would never want to have to go back or live without all the great capabilities that have been added since CS6 in many of the key applications. The cloud for Creative Cloud and Document Cloud helps quite a bit against piracy. My analogy is kids who used to download music from say Napster stopped doing it when Apple and iTunes came out and they could buy it in a legitimate and affordable way. So now people who don’t want software downloaded off the web that may have viruses in it, that might be buggy, that isn’t up-to-date and isn’t current, that doesn’t leverage the ability to sync and store and share or use mobile – we’re seeing that really switch over and people being legit and subscribing to the service. And it’s a much lower price point now, because you’re subscribing as opposed to of laying out thousands of dollars upfront. All in all, looking at the actual facts and figures, CC has been a huge success – much bigger than some wanted to believe – and is poised to grow still larger as Adobe continues to expand the countries it is offered and available in. I plan to subscribe to CC at some point but my present need is EDUCATING myself so when I pay money I can actually USE them for paying work (which I’ll get IF I can list the tools as part of my skills!) After trying community college venues which were costly and disappointing b/c I still didn’t know how to do a project, I prefer to do it independently. I have some old CS5 “classroom in a book“ tutorials; can I still use them without the actual programs (which no longer run) so I can still get a grounding in the basics of each program? or are they useless? Is there anything comparable online? is anything comparable for low-to-no-cost? I also have Wiley Bible books for Illustrator and Dreamweaver CS5. I know there are many upgrades and new features, but are they still useful as references for understanding program basics? (functions, tools, etc.)? Does anything compare with them, since they had EVERYTHING, almost like a WhitePaper reference manual? All I saw at Barnes & Noble was Creative Cloud Design Tools for Dummies, which I’m not wild about but I did buy for a reference manual. Does Wiley still make comprehensive books for the CC stuff? Is there anything online, especially cost-free, that’s comparable to the old Wiley Bible series? is the subscription to prodesigntools journal free? I’ll join if so, as I am too close to broke right now, having to spend so much time learning the tech before I can get any paying work. THANKS for answers to both inquiries! Sure Patricia, and thanks for your questions. Yes, there are newer versions of most the series you mentioned, which are written for the current releases of the CC tools… You can check out those books here. You can still try to use older book editions with the latest versions of the software, but there will naturally be a lot of differences – especially from CS5 (which came out back in 2010). The core working concepts of the applications are of course similar, but you will find significant user interface changes and improvements. 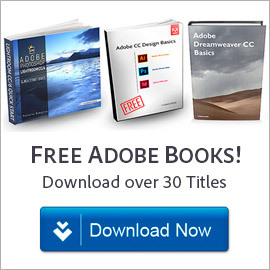 As for the ProDesignTools subscription – yes, it is absolutely free – and when you sign up, you do receive a collection of over 20 Adobe books you can legally download instantly at no cost. So that could definitely help you out as well. To sign up and get the free book links delivered to you, just enter your email here. 1) Is there a pack for just adobe Photoshop CC and Illustrator CC? If so how much? 2) I already have Adobe CS 6 Suite on my Mac. Is it possible to get Adobe’s Creative Cloud programs (Photoshop and Illustrator) and still keep my CS 6 programs as well, in case i want to cancel my subscription? 1) Please see our previous reply here for the answer to your first question. 2) Yes, it’s definitely possible to install and keep/run both CS6 and CC on the same computer, or on different computers! The older CS releases will be left on your system once you upgrade. It is then up to you when you remove them from your hard drive, or you can continue to leave them available on the same machine (or move them to another machine). In other words, the prior versions will not be overwritten. I purchased only CC for Illustrator. My other applications are CS6. Now I am having problems and keep getting the window to sign in when I go to open documents in other CS6 applications. For example when I go to open a PDF – remember, I am using CS6 for this app – a window keeps opening up for me to sign in to CC and upgrade or do the trial. Hello Lori, that was an issue that could happen in some circumstances but it is easily resolved… Basically you either have to refresh the activation of your CS6 software and/or update the version of AAM that is installed on your machine. There really should be a way of combining the Photography plan with Illustrator. They go hand in hand for creative types. I really want Illustrator but not at an extra £17 (in the U.K.) per month. Will this ever be considered? You’re losing business. Not sure if they will ever do anything similar with Illustrator CC in terms of price, or bundle it together with other Creative Cloud tools. But seeing as it’s been 3½ years since CC first came out, and adoption is very strong, you may not want to hold your breath. Absolutely. The photography plan is excellent value and the best money I spend every month. I’d be willing to pay extra for Illustrator to be bundled in, but my budget won’t stretch to another £17 per month. 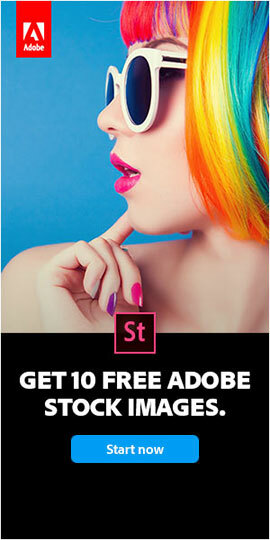 I think it’s time for Adobe to be looking at different bundling discounts, say a “two-fer” beyond Photoshop + Lightroom. I use Photoshop and InDesign extensively, with some sporadic Acrobat. Until I can get a price point that matches my usage and budget, I’ll continue to use CS5 suite until it, my computer or I die. Hi Willo, thanks for sharing your thoughts. For our response on the topic you raised, please see our comment just above yours, where Steve asked a similar question about Illustrator. If I bought the Photography bundle, is it still possible to purchase a single app such as Premiere? Yes, definitely! If you want an alternative to the Creative Cloud “All Apps” plan, then you can put together an “à la carte” bundle however you like. So getting the $9.99 Photography Plan with Photoshop + Lightroom, and then adding on Premiere Pro (or After Effects, or Illustrator, InDesign, Acrobat, etc.) with a Single-App Subscription would come to less than US$30 a month. If you want to limit your use to only 2-3 apps, then this can work out cheaper than getting all the CC tools included in the complete Adobe collection. I recently purchased Alienware 17R4 to use only for graphic files. It is Windows 10. I need Photoshop CC and Illustrator CC. Are they compatible with Windows 10? Yes, definitely. Creative Cloud is supported on Windows 10, 8.1, or 7. 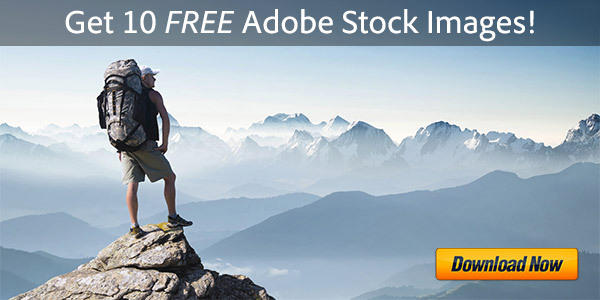 For full details, see the complete Adobe CC system requirements. I have been using the complete creative cloud package and really only ever use indesign and photoshop. I use it to publish a church mass sheet once a week and a magazine three times a year. The current package is too expensive and I was planning to discontinue and use a free publishing program. However I love indesign and would stay with it if there were a cheaper option. How much would it cost to have those two apps only? My question seems to have disappeared! I am finding full CC too expensive. Use Indesign and photoshop once a week for a church service sheet. And for a quarterly magazine. Can I get a two app subscription? Yes, you can certainly reduce your cost, if you use fewer (1-2) of the tools… See our previous reply above for how you can do that. I have the Photography membership but also need After Effects. Can I have both the Photography membership and a single app membership for After Effects at the same time? Keeping them separate, one being 9.99 and the other 19.99. Yes Francy, you absolutely can do that. I have Premiere Pro but want to add the full Creative Cloud. How do I add the full cloud without double payment for Premiere Pro? In any event, you could still use your old Premiere Pro or the new version with the CC suite, as you see fit. 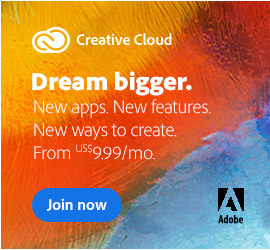 So, it’s going to cost me extra get the complete Creative Cloud with all of the programs? I pay by the month, so I will be paying for Premiere Pro twice. It works the same with Creative Cloud as it did before with Creative Suite… In the past, when you bought a suite like Master Collection or Production Premium, you got a bundle of different applications at a huge discount to their prices individually. You may not have used every single tool, but the cost together is far less than buying them all separately. It’s the same with the Complete Creative Cloud. If purchased individually, all the tools would cost over $10,000 with the old system. But you get them all – plus ongoing upgrades and included services – for US$50/month. You also get an updated and improved version of Premiere Pro CC over the CS6 you have, which is several versions newer and has many more features. If you don’t choose to use it, then that’s up to you.